The slaying of a man on the Northwest Branch Trail in Langley Park, Md., Saturday was gang related, according to Prince George’s County police. Before 11 p.m. Saturday, 19-year-old Akinleye Warner went to the trail near the 1500 block of Quebec Street with three friends for what he believed was going to be a drug deal, police said. One of the suspects lured him deep along the trail, where he was attacked by a group of as many as 30 in an apparent gang initiation. Warner, a graduate of High Point High School, was found with several stab wounds and pronounced dead at the scene. His three friends escaped. Three teenagers are in jail tonight, accused of murdering a man in Prince George's County. Police say they stabbed him to death as part of a gang ritual. Even more troubling, the main suspect is just 13 years old. Prince George's County Bureau Chief Tracee Wilkins broke the story on Twitter and has more on the investigation. Three teenagers are charged with first-degree murder, Prince George’s County Bureau Chief Tracee Wilkins reported. Nelson Rivera-Anaya, 15, of Lanham, and Angel Contreras, 14, of Silver Spring, are being held without bond at the Department of Corrections. A 13-year-old who can’t be charged as an adult under state law is being held at the Cheltenham Youth Facility. The 13-year-old is believed to be primarily responsible for the stabbing, Wilkins reported. All three attend or attended Buck Lodge Middle School in Adelphi. 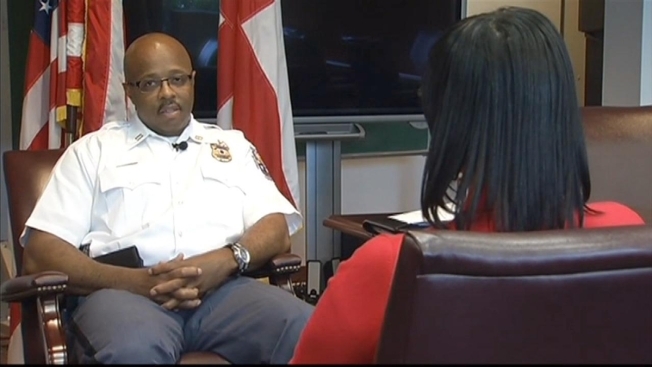 Prince George's County Police have since begun sending gang task force detectives to some schools, as well as helping parents look for warning signs. Tyler said some children from immigrant families may be especially prone to joining a gang due to unstable home lives. In other cases, gang activity may be passed on to children at a young age, like the 13-year-old who was arrested in connection with Warner's death. Though the ages of the teens arrested appear to be shocking, Tyler said gang involvement is not unusual for that age group. Police say more arrests in the incident are possible. Anyone with information about the case should call 866-411-TIPS.